Nice review. 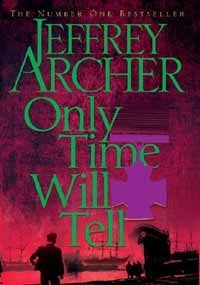 I became an Archer fan after the very first book of his I read- A Prisoner Of Birth. And he never disappointed with whatever I read of his. This one goes on my TBR list. I have this one on the shelf. The hubby read it and liked it too-- so many books to read and so little time..sigh! arrey, where did my comment disappear? I really enjoyed this book. I think I'll listen to the next in the series as I heard OTWT was a wonderful audiobook.